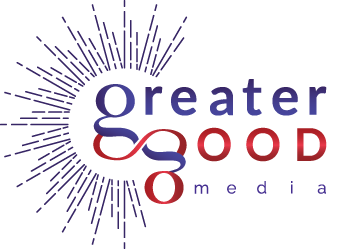 Meet the Greater Good Media Family. Jen MacMillen began her “good news only” publishing business when she started an employee newsletter for Gannett Outdoor billboard advertising company in 1988 in the San Francisco Bay Area. She had no idea where this would take her because she did it for the fun of it! Today, she publishes four print journals featuring the “good people, good places and good things happening” in two communities in Vermont and one in St. Petersburg, Florida and the newest one in Lebanon, New Hampshire! Seeing the good in people and sharing their stories is what she does best. Jen lives with her teen daughters, Dewey and Maisie, in Norwich, VT and therefore has no free time, but loves spending what time she does have with them and on growing her good-news-only publishing business. 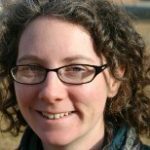 Elizabeth Clark Craib joined the Greater Good Media team in May of 2017 to work behind the scenes in the main office in White River Junction, Vermont. She manages the details and logistics that keep things moving along for our publications. Elizabeth is a native Vermonter and graduate of the University of Vermont who is passionate about helping folks make connections within their communities. To that end, she has worked as the director of the Woodstock Area Job Bank, where she helped bring together people and jobs. 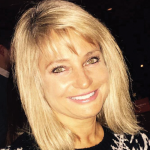 Her extended background includes office administration, marketing, sales, public relations and fundraising. She is excited to be able to bring these skills together as part of the VGP team. Elizabeth lives in Hartland, Vermont with her husband and young son where she enjoys gardening, outdoor living and enjoying all that Vermont has to offer! Julie Johnston is a freelance graphic designer and designs the layout of three of the four Greater Good Media papers: the Norwich Times, the Lebanon Times and the Northeast Journal of St. Petersburg, FL. In addition to her graphic design business, Julie has enjoyed her role as stagehand for 12 years and on the board since 2004 at Eight O’Clock Theatre, the resident theatre company of the Largo Cultural Center in Florida. Her volunteer interests are Horses for Handicapped, Special Olympics, the SPCA, and high school drama troupes in Florida and California. 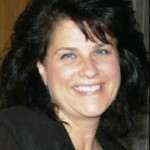 Susan brings over 25 years of marketing and advertising expertise to the Northeast Journal. Her past experience has been from ad sales executive, to sales manager to owning her own business. After selling her business she joined the Northeast Journal in 2005 as advertising director. As a result of her experience with owning her own business she treats the publication like it is her own and takes pride in helping her clients. She enjoys helping local businesses expand and prosper. She has been part of the wonderful St. Pete community for over 10 years now and is so proud to be part of such a great place to live. 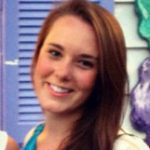 Allison E. Rogers Furbish grew up near Storrs Hill in Lebanon, graduating from Lebanon High School before going on to earn her BA in Human Ecology at College of the Atlantic in Bar Harbor, Maine. 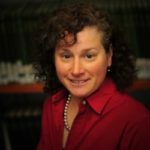 After writing a national award-winning series of articles about the impacts of the No Child Left Behind Act on the schools of Mount Desert Island, she returned home to work as a staff reporter at the Connecticut Valley Spectator, covering everything but sports in Lebanon and three additional Upper Valley towns. She spent eight years in public relations at King Arthur Flour in Norwich and continued her writing career as a freelance contributor to The <em>Norwich Times</em>, and Upper Valley Life and Kid Stuff magazines before partnering with Publisher Jennifer MacMillen to launch the good-news-only <em>Lebanon Times</em>. Allison earned her MBA in Sustainable Business at Green Mountain College. She now lives in Canaan with her husband and daughter (though she spends as much time with her family in Lebanon as she does at home). Anne often refers to editing the Quechee Times as a “labor of love.” She truly enjoys telling the stories of the people and our community, and will never forget the “true spirit” of Quechee when community members rallied to help each other and neighboring communities during and after Tropical Storm Irene in 2011. Professionally Anne works in communications and marketing, is a freelance writer/editor, has worked in technology, owned a couple of businesses, and is a skilled metalsmith creating sterling and fine silver jewelry. 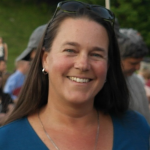 Anne lives in Quechee and is very active in the Quechee Community managing the Quechee Community Garden, serving on the Quechee Club’s Winter Committee and as the administrative director of the Quechee Ski Team. 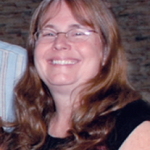 She also serves as a community panel member and as president of the board of Upper Valley Court Diversion. Patti O’Donnell has been working in the printing/advertising industry for more than thirty years designing logos, websites, brochures, and creating custom artwork. At the beginning of her career, Patti started out “on the board” doing brochure mockup and design, inking of technical illustrations and schematics, and paste-up of everything! 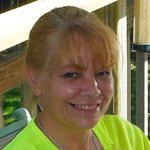 Since Macs came out in the mid-eighties, Patti has experienced the job changing from on-the-board to using computers and the internet for graphic design, web design and maintenance, and computer generated images. Patti lives in Grafton, NH with her fiancé Randy Robie, a dog Maggie and a cat Molly. Patti owns her own company Ragged Mountain Design, www.RaggedMountainDesign.com, also located in Grafton. Patti designs the layout of the Quechee Times, and works on any ads that need layout/design, and can be contacted at patti@raggedmountaindesign.com. Jamie came to St. Petersburg in 1979 from Strongsville, Ohio (go Browns! ), but has a heart for her hometown St. Petersburg and am grateful for the small ways I am able to serve. Dewey MacMillen grew up in Norwich, VT before moving to Boston to attend Northeastern University, where she is currently a Senior. After having completed two “coops,” internships in Northeastern parlance, at EF Education First and NARS Cosmetics, Dewey self-developed a third with her mother, Jen! While she has no idea what she is looking to do after graduation (yet!) she knows that she has a love of fashion and sustainability and hopes to combine the two. In her free time, she enjoys spending time with her sister, Maisie, hanging out with friends, and cooking. She has enjoyed the chance to observe her mother’s commitment to spreading positive news around the Upper Valley!